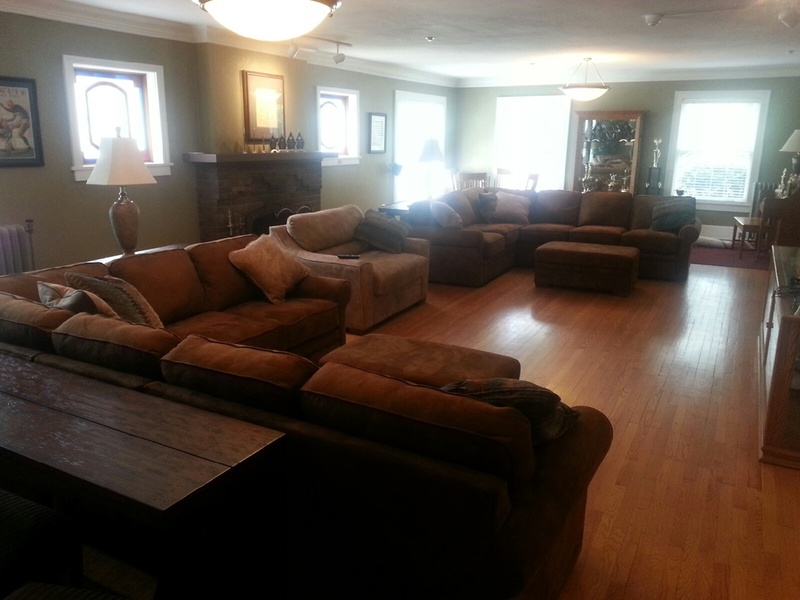 The Moms Association and the Alumni Association paired together to purchase new living room furniture for the chapter house. The old furniture was purchased more than 12 years ago and was starting to show its wear. This is definitely a large face-lift for an excellent first impression walking thorough the front door at 809 W. Pennsylvania. The Alumni Association is making updates to the house in preparation for the centennial celebration this September. 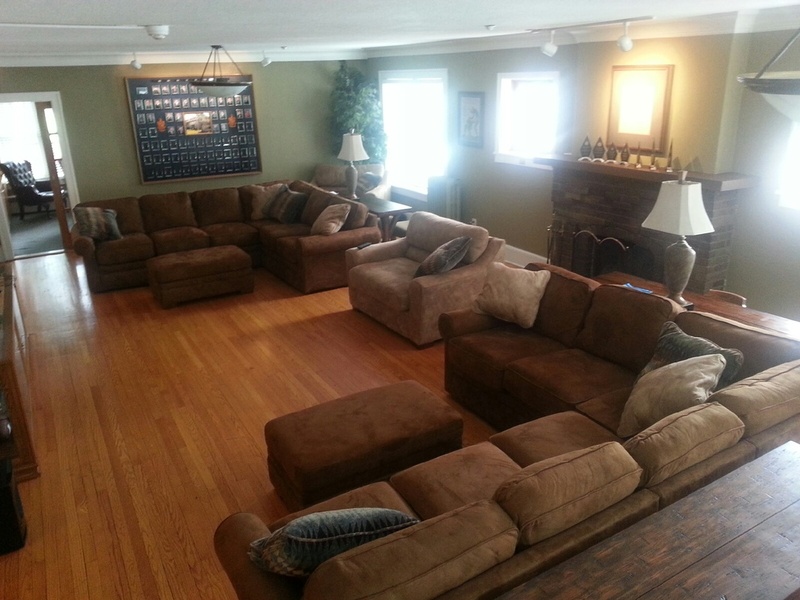 Planned updates for the summer of 2014 include painting all common areas in the house, updating select bathrooms, and replacing the living room furniture with the financial support of the FarmHouse Mom's Association. In the fall of 2013 the wireless internet in the house was updated with a new, top of the line, high speed wireless internet system. This new wi-fi enables FarmHouse Men to more efficiently complete many homework assignments and other coursework which have transitioned to be online. Other recent updates include a new fryer in the kitchen and new carpet in the hallways. Over Thanksgiving Break 2010, the FarmHouse Renovation Project began with the replacement of over a dozen windows. It was decided that the alumni association should undergo this initial renovation project to replace some of the windows that were classified as non-functioning or possibly hazardous to the residents of the house. It was then decided that Thanksgiving break provided an excellent opportunity to replace the windows while the members were away for the holidays. The entire duration of the project lasted just over 3 days and was completed in time to be seen by the alumni association during their end of the semester board meeting. This past summer, the rest of the windows were replaced and now all windows match the style of the windows shown in these pictures. On top of this, A fire suppression sprinkler system was installed in the house. The system, if a fire were to occur, would have localized sprinklers go off that would help to extinguish a fire. These sprinklers are located in every room of the house. Overall, the project turned out to be a real success. The new windows look extremely good as can be seen by some of the pictures to the right and function even better. Also, the installation of the fire sprinklers makes the house a safer environment to be in.